When we help our trade partners grow and succeed. When we build long-term relationships out of reliability, honesty and trust — that’s what it means to be the Best Builder in America. It’s our passion for delivering maximum value in commercial construction and for consistently eclipsing our clients’ expectations. This is how we stand out among the top construction companies. The needs of our clients vary widely in project size, level of complexity and facility type — but they all have this in common: They want a trustworthy construction partner known for a commitment to excellence that enables them to achieve their business and community goals. We take a “We, Not I” approach to every project, leveraging cross-functional partnerships across our organization and understanding when and where to partner externally to strengthen not only the outcome for our clients but our relationships along the way. Our passion for helping clients achieve their short- and long-term goals is rivaled only by our passion for helping those in need. We're a construction company that cares about our community. In 1864, Irish immigrant Timothy McCarthy began a small business building barns and farmhouses in Ann Arbor, Michigan. 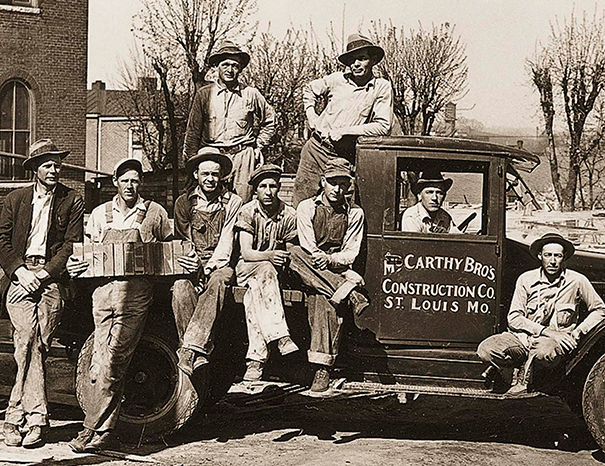 One hundred and fifty years later, we’re a top commercial builder, but we owe our growth to our clients and partners. We are truly honored to be recognized as a top construction company and proudly acknowledge our clients as well as our design and trade partners who have taken the journey along with us. You feel it when we shake hands and look you in the eye. You see it in our organized, tidy jobsites. It’s ingrained in the way we think, plan and execute and it explains why we take responsibility for issues and seek excellence in all we do — throughout every stage of the project.